Stuck in NYC? Head for the water. It’s an island after all. Quick post. Have not been kayaking in a couple years — really kayaking. 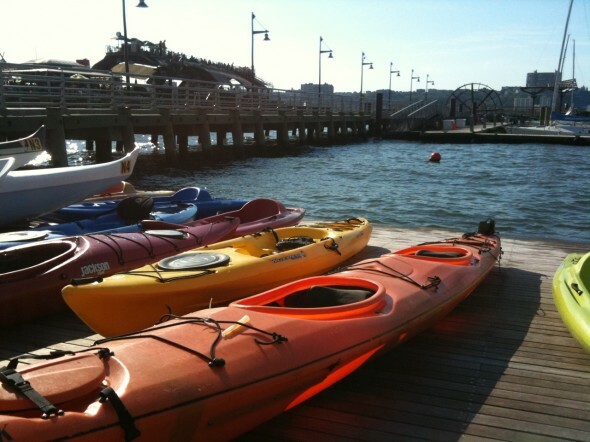 But headed back to Manhattan Kayak near Chelsea Piers for some much needed time on water. I forget why I loved it some much; it’s another kind of Yoga….for me. This entry was posted by John Pasmore on Monday, September 6th, 2010 at 5:36 pm	and is filed under Environment, New York. You can follow any responses to this entry through the RSS 2.0 feed.